That chef/owner (Takaya Zenbayashi) is always at the stoves. It’s as vegetarian or meat-centric as you want it to be. It’s as spicy or tame as you desire. It’s open all the time, i.e. throughout the day. The service is unfailingly sweet and efficient. It’s got food that isn’t fancy. As you can see, this food isn’t complicated and it isn’t expensive. It’s what ELV calls deceptively simple cuisine — food that exists both technically and metaphorically on a different level — like Japanese food in general. But when he walks out of The Best Restaurant in Town, he always feels like he’s done something nice for his body, mind and soul. And did we mention that the chef is always there, cooking his superb recipes, and that those spice-infused concoctions have health-giving properties, and that those spice, herb and vegetable-rich dishes he makes top out at around $12.50? Add all that up and you have a most excellent eatery and one that puts to shame many a high-flying “concept” restaurant, i.e. places conceived by consultants and run by accountants, e.g., Tivoli Village and every friggin’ spot opening downtown or having opened on the Strip in the past four years. Some might kvetch that the drink menu is limited (a few good Japanese beers, a couple of middle-brow sakes), and that there’s no dessert to speak of (mochi, coffee jello), but when Snowflake Shavery is right next door, and Sweets Raku is right across the parking lot, there’s no need for such caloric caterwauling. Besides, when you consider the money and calories you save, you should give the staff a major “domo arigato” for keeping your temptations to a minimum. Don’t worry if your Japanese isn’t perfect, because everything else about this place is. Favorite dishes: Spinach Curry; Chicken Katsu Curry; Beef Curry; Vegetable Curry; Kushi Curry; Anything with curry on the menu; Katsu-Don; Chicken Croquette; Pork Katsu; Dee-Fried Shrimp. Letter(s) of the Week – WTF Are People Ordering? How can you say this is healthy for you .. Don’t get me wrong I love this place .. But most everything is deep fried and loaded with carbs ?? 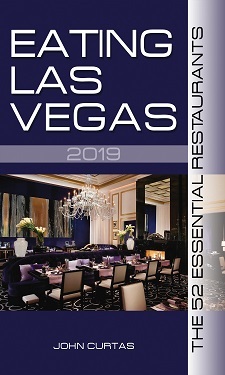 An ad an avid ELV follower I have to question this years “essential” restaurant list as many top chefs and restaurants were left out this year for sub par chinatown restaurants, that may be good but are they essential?? Which leads me to say this, as much as we Love ELV we think someone needs to step up and be a real food critic in this town . ELV responds: Complaining about a Japanese curry house being deep-fried and loaded with carbs is like dissing a Chinese restaurant for having so many cut-up vegetables. As for “sub-par” Chinatown restaurants — we’ll put their products up against a number of phoned-in, celeb-chef, tourists traps — all of which cost three times the price for one-tenth the passion. As for your “this town needs a real food critic” comment — lord knows we have tried to be one (being on KNPR for 15 years and having written for six different periodicals over a twelve-year span), but the free weeklies are not interested in anything but lowest-common-denominator fluff, and the R-J only wants to appeal to its (very limited) demographic. Hence the reason for the very Web site you are reading this on!